The best laser technology for most Caucasians is indisputably the Alexandrite 755 nm wavelength (short wavelength) laser. Alexandrite lasers were first developed for military and government applications and were named after the Russian czar, Alexander II. The first published papers using them for hair removal were seen in the early 1990s and FDA approval for them was given in 1997. The Happel Laser Center began using Alexandrite lasers for hair removal in 1999 and continues to use this gold standard wavelength for hair removal today. Dark skinned individuals with brown or black skin are best served with longer wavelength lasers 800nm or even longer wavelengths like the Nd:Yag laser. Historically, the use of a topical suspension of carbon particles applied onto the hair followed by treatment with a Q-switched Nd:YAG laser was the very first laser treatment for hair removal that the US Food and Drug Administration (FDA) approved. Companies who manufacture these long wavelength lasers are CoolGlide, Medlite IV, Varia, Athos, Lyra, and Image. “Laser –like” devices generally are not as effective as true lasers. The real reason that many places use them is that many states do not allow anyone except physicians or sometimes nurse practioners to operate a laser even for hair removal. National franchises use these “laser-like” light machines to get around individual state’s regulations even though most laser experts would agree that they are inferior to true lasers. Intense pulsed light (IPL) and Broadband light (BBL) machines are examples of this technology. Another choice is radiofrequency (RF) technology and presently no state regulations prohibit their use by non medical personnel. 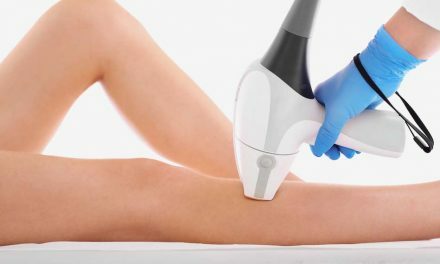 The type of laser used is just one of the criteria that you need to be aware of when choosing a medical office when considering having laser hair removal. Another important thing to think about is will you have laser hair removal done in a spa, nonmedical facility without physician supervision or a physician’s office. The chances of a burn, complication, ineffective treatment or problem without a physician being directly involved is obvious but for some people this only becomes apparent after there has been a problem. If you have any questions about the use of lasers for hair removal, please call us at 724-969-0600. PreviousWhy Has Laser Hair Removal Become So Popular?